9 Pioneer PLX-1000 Turntable packages available. Considering purchasing the Pioneer PLX-1000 Turntable? Have questions? Ask people who've recently bought one. Do you own the Pioneer PLX-1000 Turntable? Why not write a review based on your experience with it. Really great set of decks! I bought these to replace my Vestax PDX-2000's that I've had for years, and I am not disappointed in the slightest. I considered buying a new set of Technics 1210's (although I've never owned a set of Technics), but they are really expensive. So my best options were to buy a second hand set of 1210's or a brand new set of these. After reading a lot of positive reviews, I bought these and I'm sure I made the right choice! Really good build quality, powerful motor and selectable +/- 8, 16 + 50% pitch options. Highly recommended. Very high quality turntable, working clearly, very easy to set up, cool design, is not very heavy, and I think it's best of the best at the moment. Been using my new PLX 1000 for a couple of week pretty much every day, itâ€™s everything I expect from Pioneer, quality build, really nice to touch and works brilliantly. Sturdy, well made and looks slick! Solidly built with a great sound. Wasn't looking for a DJ turntable but for reasonably priced audiophile equipment. After reading the PLX-1000 review on a stereophile blog I found I could have a DJ deck at audiophile level quality. This is a cracking piece of kit. Solid build, excellent sound quality. My DJ mate has 2 of them and really rates them. Why spend 600 quid each per 2nd hand deck on ebay, of which are all old (obviously) and you don't really know how have been treated, and most sellers standards of the word 'mint' judging by photos leave a lot to be desired! Glad I chose these over the reloop rp range, Quality, Quality, Quality, plugged them in and the regret of having to sell my 1210's 8 years ago vanished within seconds..... Just like riding a bike!!! Really like the feature of widening the pitch range and didn't want all the connect to traktor bumf, so ideal! Extremely comfortable to play on, everything tight as can be, no messing! I have had these for awhile now and can honestly say that I am really enjoying them. They are in my opinion just as good as a pair of Technics SL-1210's. 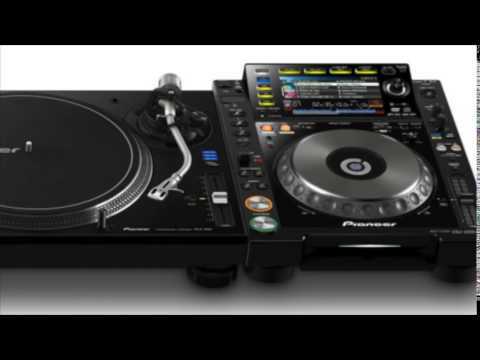 The pitch controls operate and hold the speed just like a Technics deck but what I really love about the Pioneer PLX 1000's is the extra torque. Fantastic. I would recommend these to anyone whose not to sure or sitting on the fence. Once you get used to them you will love them. Great product with overall good build quality. Next best thing from the Technics 1210's. What a good twist from something old. Really good piece of kit with a great build and finish!! 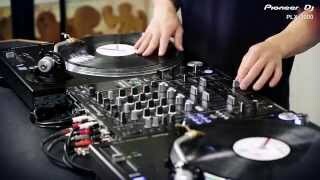 Seen a video for Pioneer PLX-1000 Turntable online or have you own video? 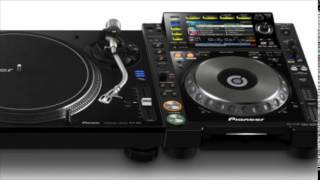 Check out Pioneer PLX-1000 Turntable on DJkit.com!